On 4-7 June 2018, the ELIXIR Community met in Berlin for the annual All Hands meeting. With over 300 participants, it was the largest All Hands meeting so far. 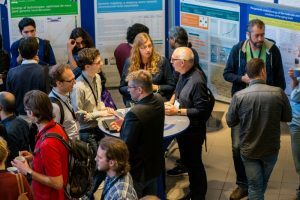 ELIXIR-NL was strongly represented with a variety of flash talks, presentations in workshops, and posters. View highlights of the ELIXIR-NL contributions. Download slides of all All Hands Meeting presentations.